Kobayashi, Kanetoku, Doi, Lum & Yasuda CPAs (KKDLY), one of Hawaii’s largest CPA firms, has welcomed Gordon Ciano as its newest partner. Ciano was most recently audit partner and partner-in-charge of human resources and recruiting for the Honolulu office of KPMG LLP. 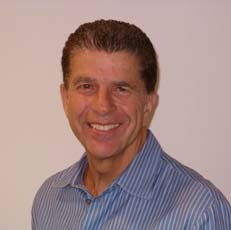 With nearly 40 years of accounting experience in the banking, insurance, hospitality, and real estate industries, as well as the public sector, Ciano brings a wealth of expertise to the firm, where he will provide audit and advisory services for corporate, nonprofit, and public-sector clients. Ciano earned his Bachelor of Business Administration degree from the University of Hawaii, and was a 2010 recipient of the Shidler College of Business Hall of Honor Award. In addition to his professional duties, Ciano served on the Hawaii State Board of Accountancy for eight years and is a member of the Board of Directors for the Boy Scouts of America, Aloha Council. He also belongs to the AICPA, the Hawaii Society of Certified Public Accountants and the Hawaii Captive Insurance Council.